Starring Gentleman Jervis! Deputy Guppy and Ringo agree to ride out to Mr. Hammerjaw’s new gold claim. 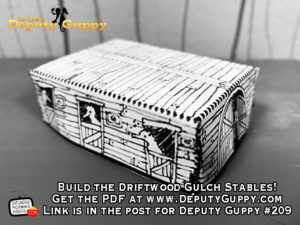 Is Deputy Guppy right to be suspicious about Mr. Hammerjaw’s good fortune? Tune in and see!